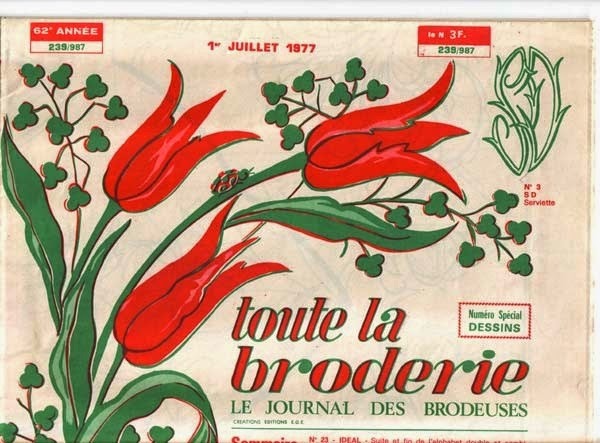 Back in 2008 I bought a lot of 15 "Le journal des brodeuses". 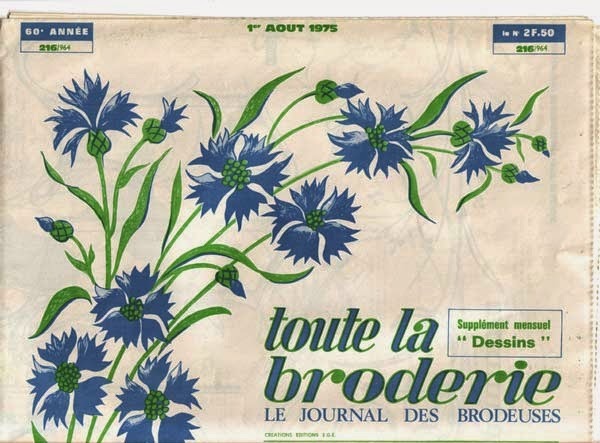 Le journal des brodeuses is a vintage French newspaper about embroidery and each issue includes a selection of nice patterns. 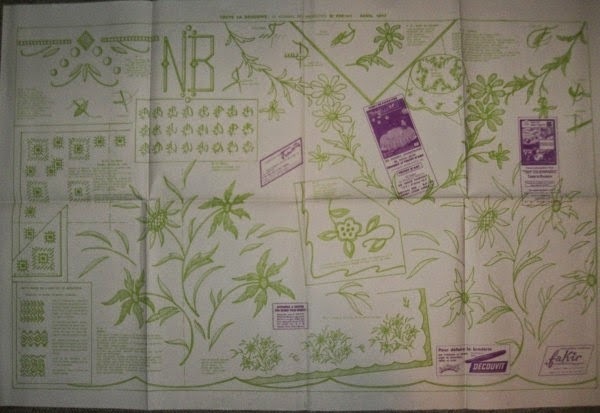 Patterns often include monograms and lovely flowers and wreaths. See a few example below. Bought the stack for 5 euros (so it came out to less then 50 cents each) and sold each of them for $5 a piece. 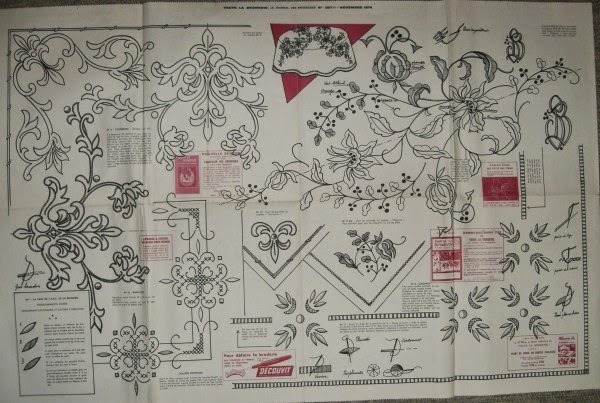 Old french embroidery patterns usually sell well, not for crazy prices, but they do sell if you can source them for cheap.